ART JAM ® is a positive, productive and creative experience that naturally encourages participants to be invested in the artjamming TM process and the artwork created. Whether you’re team building ( facilitated or soft), entertaining VIP clients, rewarding employees, or launching your product or service, ART JAM ® is a great way to get your message across. Creativity and visual expression are powerful conduits for awakening personalities, conversation and meaningful interaction. We’ll help you create that memorable and distinctive corporate event. For more ideas and details on Corporate ART JAM ® at artjamming TM or artJAMaLAMa. 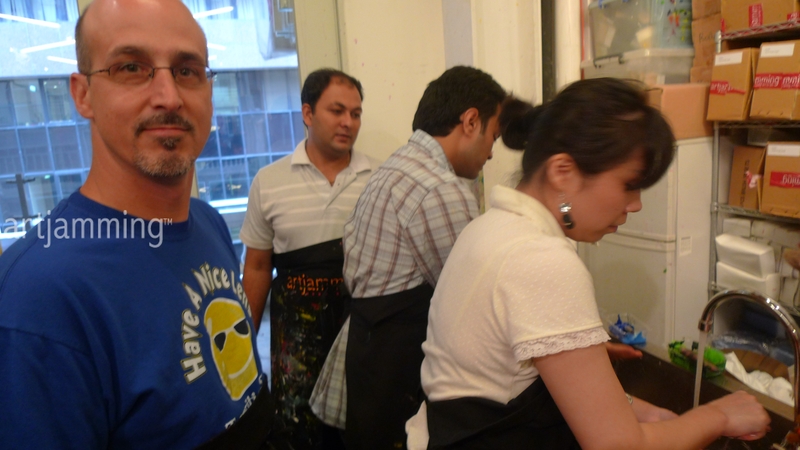 art jam, artjamming, employees, team building, vip clients. Bookmark.